The original AirPods debuted the Apple-designed W1 wireless chip without which their seamless pairing and other unique features wouldn’t be possible. 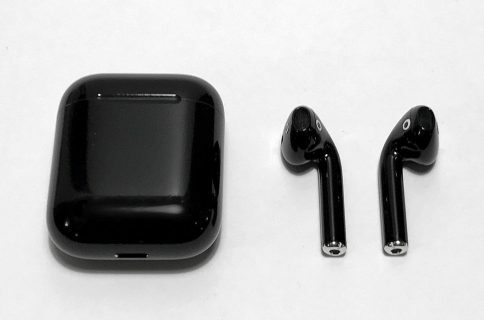 The new AirPods, available for pre-order beginning today ahead of their retail launch scheduled for Friday next week, take advantage of an improved version of the proprietary chip that now has a brand new name: H1. When Apple was designing the original AirPods earphones, its engineers quickly came to the realization that they would need to take full ownership of the complete wireless stack because existing audio and pairing features afforded by the Bluetooth standard just wouldn’t cut it. 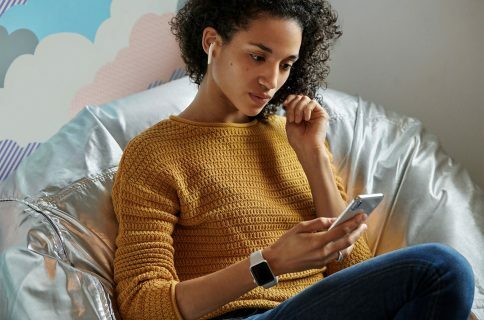 The company’s answer came in the form of W1, a proprietary wireless chip delivering reliable Bluetooth connections, lower power consumption and some capabilities unique to the earbuds. 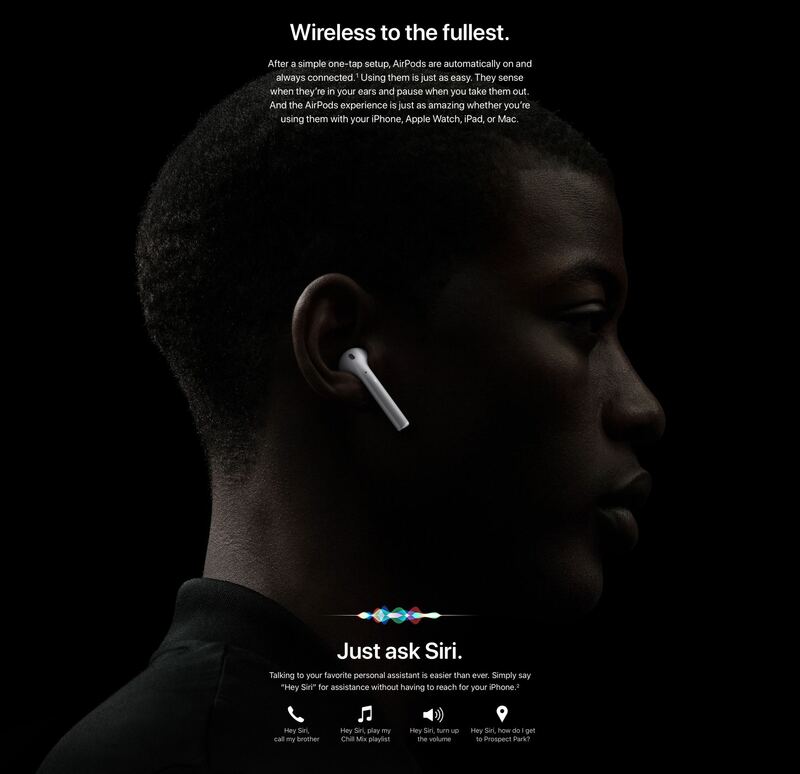 The second-generation AirPods bring additional functionalities not found on the first model, such as hands-free Hey Siri and 50 percent more talk time, but that’s not all. Again, these features are only afforded by the new Apple H1 chip. 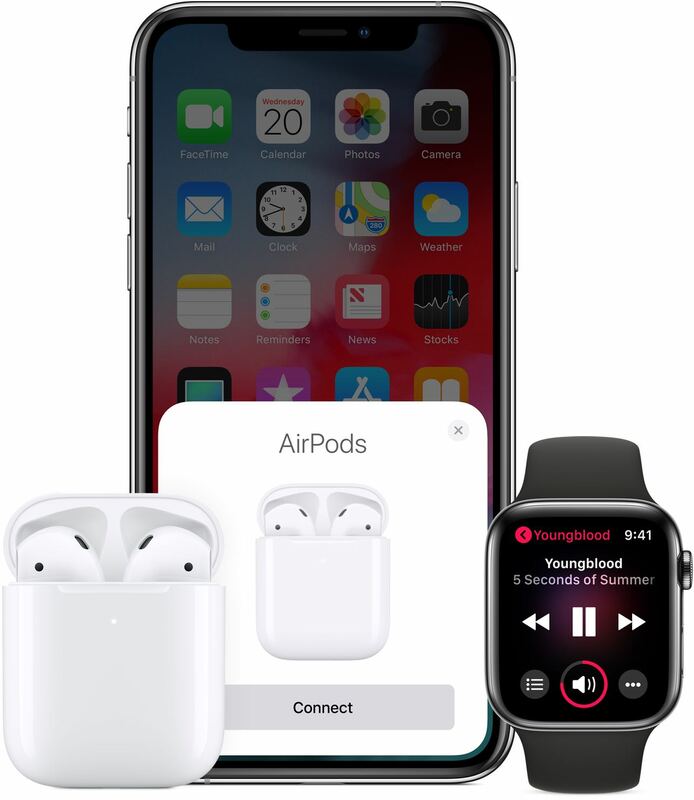 Apple W1 is a system-on-a-chip used in the original AirPods and select Beats headphones, such as the PowerBeats3 Wireless, Solo3 Wireless and BeatsX. In the original AirPods, Apple W1 is responsible for maintaining a Bluetooth Class 1 connection with a device and decoding the audio stream sent to it. Apple W2 is integrated into Apple’s S3 system-in-package powering Apple Watch Series 3. According to the Cupertino company, switching to the W2 chip for Series 3 has resulted in 85 percent faster Wi-Fi performance and 50 prefect more power efficient Bluetooth and Wi-Fi versus the previous Apple Watch models. Apple W3 is a 2018 update to the W-series wireless chips from Apple. It supports Bluetooth 5 and is integrated in the S4 system-in-package driving Apple Watch Series 4. 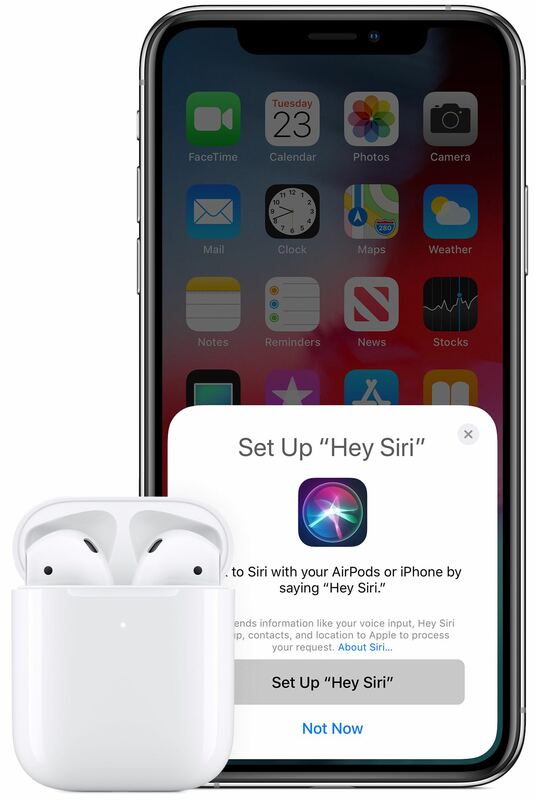 Both the original AirPods and the new Hey Siri model also function as standard Bluetooth earbuds when connected to any Bluetooth 4.0+ device, including Android phones. The new AirPods and the standalone Qi charging case can be ordered today through Apple.com and the Apple Store app ahead of their in-store availability beginning next Friday. AirPods with standard charging case that does not support wireless charging are $159 in the United States. AirPods with the wireless charging case are available for $199. The standalone wireless charging case is $79 (it’s compatible with the original AirPods).